People like me that suffered from severe acne would agree that one of the most devastating traces of acne are the red/dark marks and the ice pick scars! Aside from the fact that they leave unattractive marks, they are also very difficult to get rid of. They take weeks, if not months, to fade. 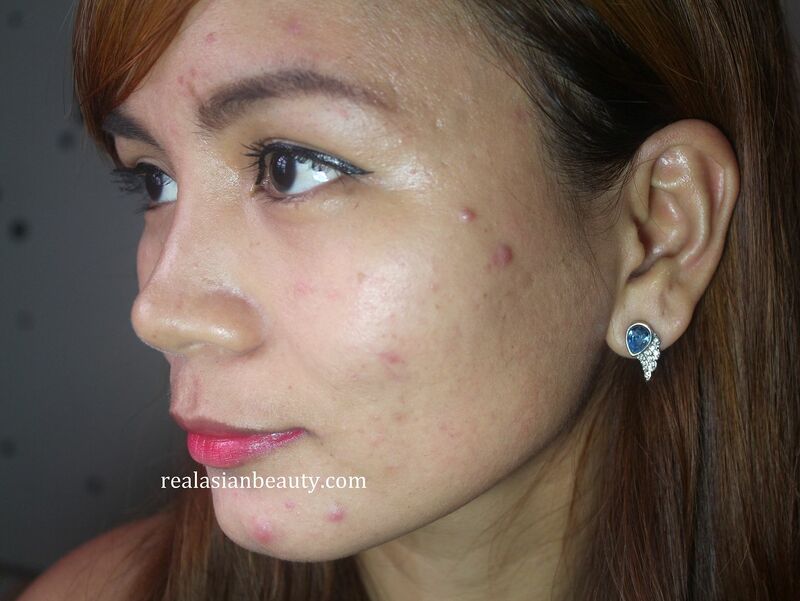 That's why I am so glad that I have discovered a way to get rid of acne and acne scars faster! 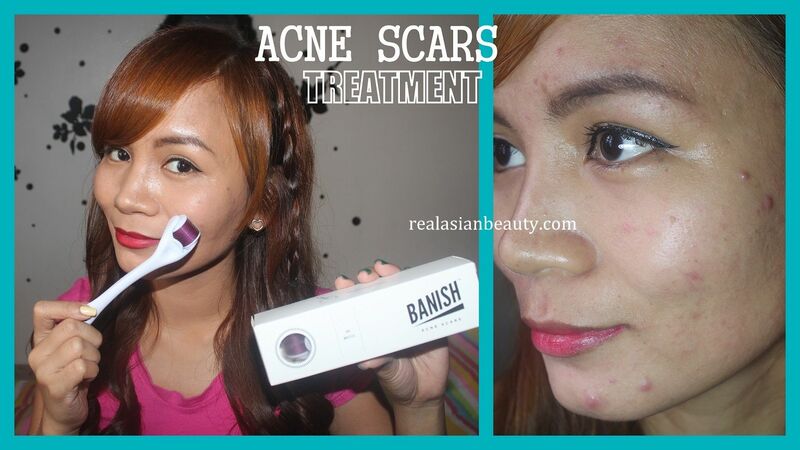 Introducing the Banish Acne Scars Derma Roller! I've heard a lot about derma rollers and how the treatment could really lighten scars and pigmentation. But I didn't dare try it then because, c'mon! Needles on your face?! That would hurt a lot! But one day, I was sent these dermarollers by Banish. And rather than wasting the items by letting them sit in my bedroom, I decided to give them a try. 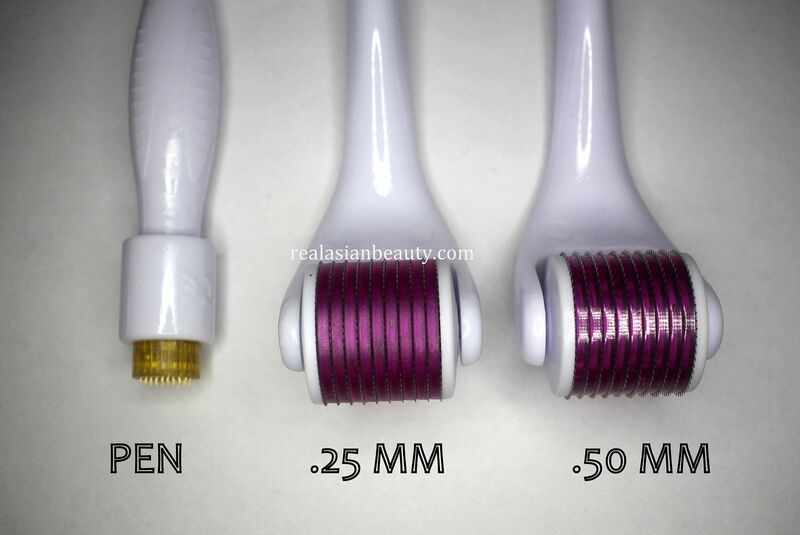 Banish Derma Rollers come in 4 different sizes. I have 3 of the 4 : the pen, the .25mm roller and the .50 mm roller. Each roller works to target different areas of the face and body. PEN - The pen is perfect for targeting smaller/ hard to reach areas of the face or body. This is also perfect if you are currently having a break out as it allows you to just treat "clear" areas of your face. The needles are also few so it won't hurt as much as compared to when you use the regular rollers. .25 MM Roller - This roller is perfect for beginners. The needles are small and thin and won't dig deep into the layer of the skin. Therefore, the pain that the user would feel would be very minimal and tolerable. .50 MM Roller - This roller is for when you want to take acne scars treatment to the next level. Personally speaking, this roller made me tear up when I first used it! The needles are a bit bigger than the previous roller. But since the needles really penetrate into the layer of the skin, the acne scars would be treated faster. 1 MM Roller - I don't have this roller as I was scared this would hurt too much. But this roller is meant for use on the body. It has bigger and thicker needles than the other 3 products. Please watch the video for the full product demonstration! The bristles on the roller puncture micro tiny holes so tiny that it will not produce any scars. These holes dig deeper into the epidermis of the skin. To fix this "hole", the skin produces collagen and elastin. This will help new skin rebuild itself and repair the scar. Anyway, as you can see in the photo, I had a lot of active acne on the temple, cheeks and jaw areas were the most affected areas. You see deep scars and red marks. There were also a lot of bumpy cystic acne on my chin. Here's how my skin looked after using the .50 MM Derma roller for the first time! The .50 MM roller made my skin red-ish and it really hurt, considering I have high pain tolerance. It was especially stingy on the areas near the bones like the forehead, temple and jaw! But rolling it on the cheeks and chin were fine. 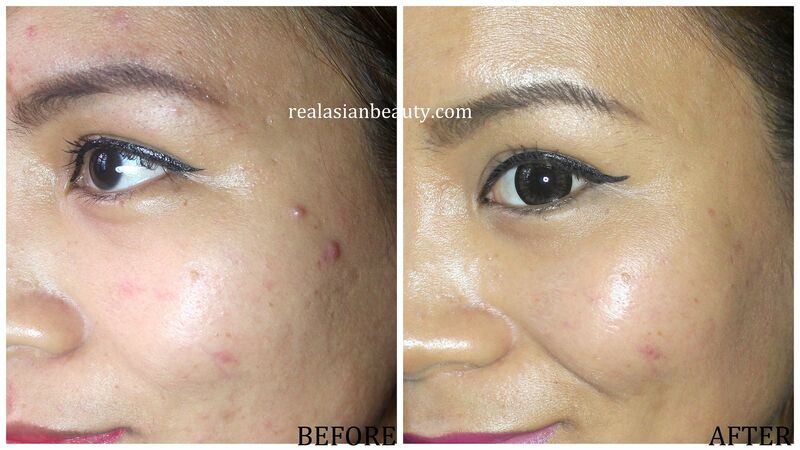 After applying the serum and after a few minutes, the redness will eventually fade. And in 2 days, you will notice tighter skin. After prolonged use of the roller, your skin will improve and you will notice that the pores that used to be so huge and noticeable have become smaller and less visible. Here's how my skin looks after weeks of using the roller. I used the roller about 2-3 times a week. I only did it at night to allow the serum to be fully absorbed by my skin and to allow my skin to rest and to avoid dirt and dust from getting into the "open hole" of skin. I put on eyeliner, did my brows and applied lip stain. But other than those items, my skin was bare and what you see in the photos were my actual skin condition. 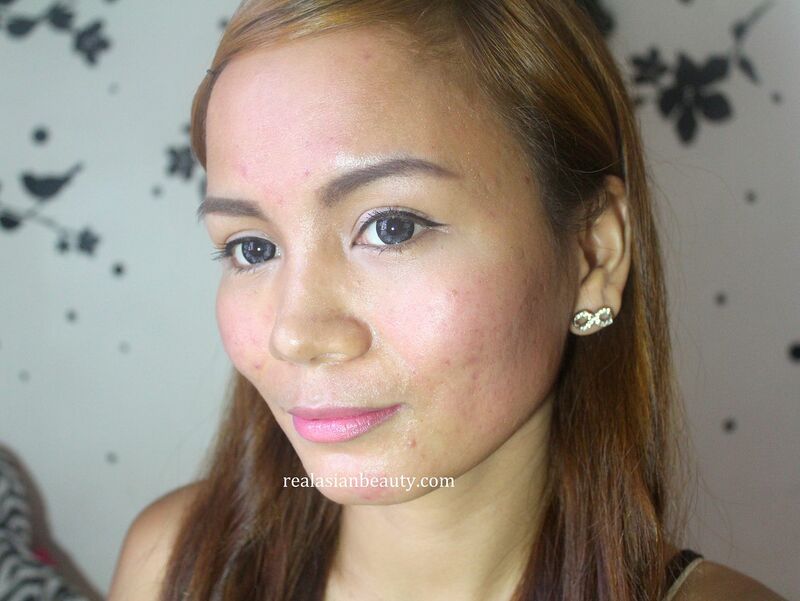 For a clearer comparison, here's how my skin looks BEFORE and AFTER the whole derma roller treatment. ...but the pores and scars were still visible, not completely "banished"
Overall, I am glad that I have tried this product. My mom has severe pigmentation and scars because she has sensitive skin as well. I use another .50MM roller on her. She said the product works and she likes it but she doesn't like that it stings and that it hurts. Aside from the fact that it hurts, she actually likes her skin a few days after the treatment! 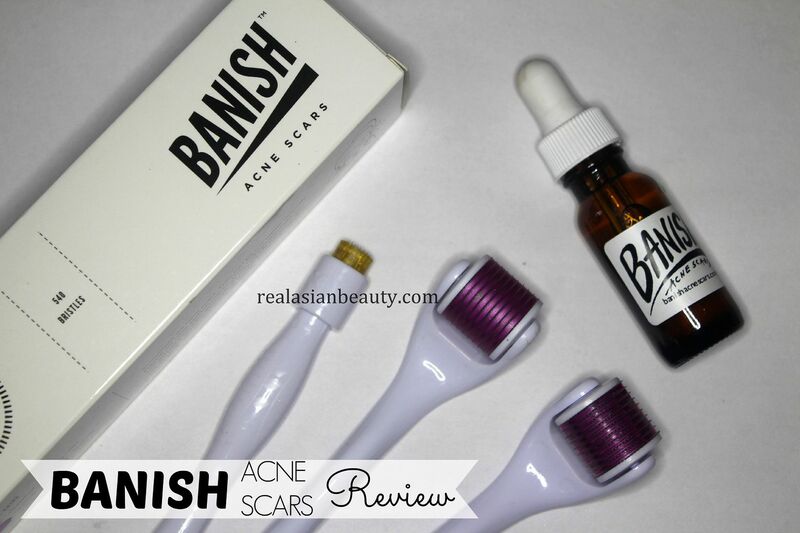 Don't forget to use the code RealAsianBeauty upon check out for $5 OFF your purchase on Banish Acne website! Let us know if you have any questions about this product!